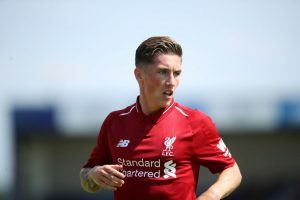 According to the latest reports from the Sun as cited by the Express, Leeds United are keen on signing Liverpool winger Harry Wilson in the upcoming summer. The report adds that the move hinges on whether the Whites can secure a move to the Premier League by next season. 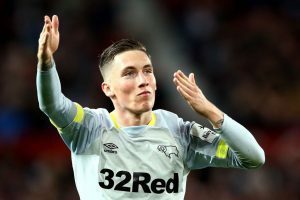 Wilson is currently on loan with Derby County and is having a fantastic season with the Rams as he has managed 12 goals and four assists in all competitions. However, the report does add that Jurgen Klopp still has high hopes from the winger and he is going to give it another thought before offloading him. Born in Wrexham, Wilson’s journey started early as he joined Liverpool’s under-9 side and by the time he reached 15, he became a full member of their academy. At 15, he started representing Liverpool’s u-16 as well as it’s u-18 side so one can imagine that he was highly rated from a young age. An impressive stint at Ajax Future Cup earned him his first professional contract. However, he was still some way from getting into the senior team and from there onwards, his loan spells began as he joined Crewe Alexandra during the 15-16 season. His best performance on loan came with Hull City as the Tigers signed him during the second half of the season, and Wilson managed seven goals in 13 Championship appearances. The winger made his debut for Wales at just 16 years and has been progressing well over the years. Typically a right winger, Wilson can play in central areas as well as an attacking midfielder. Wilson showcases decent pace and he might not have blistering speed like other wingers but what makes the youngster stand out is his ability to make a difference in the final third and score goals. There is no doubt that managers and coaches would take that over someone who is just a ”pace merchant”. The 21-year-old has a vicious left foot and is known for his set-piece taking abilities. To go with that, he always likes to move the ball forward and has a sense of directness to his game which should suit the WHites well. His fluidity to play in various positions across the attacking third makes him a big asset. Moreover, Pablo Hernandez would be 34 in a few months, and a right winger should be on the agenda of the club. Standing at 5ft 6inches and in a small frame, he can sometimes be easily shrugged off the ball. His first touch can also sometimes let him down, but apart from that, there are no real weaknesses in the young star. For now, we feel the chances of signing the winger looks slim as Wilson has a long term contract with the Reds up until 2023. Nevertheless, the West Yorkshire outfit should try their luck in the summer to lure him to Elland Road. Does The Report On Rodgers Trying To Take Celtic Striker To Leicester (A Year Back) Have Any Merit? Fulham Linked With A Move For Sensation Liverpool Ace: Should Slavisa Jokanovic Go For Him? Welsh Winger Looking Forward To Liverpool Return: Will He Finally Prove His Worth At Anfield Next Season? Derby County Have Sealed A Move For 21 Y/O Liverpool Winger: Good Move For All Parties?